Look, we love shopping for jewelry in person, but sometimes all you want is a perfectly curated online experience that looks beautiful, is easy to navigate, and reveals the backstory of each designer and his or her process. And well, you know, one that you can peruse in your pajamas. Stone & Strand – founded by the elegant and whip-smart Nadine McCarthy Kahane – is that very oasis for bauble lovers who like to shop from the comfort of home (or office or airplane or coffee shop). Jam-packed with some of the hottest names in jewelry, as well as up-and-comers, vintage, and estate selections; the two-year old site makes it easy for both aficionados and newbies to find that perfect little something. With offerings like personal shopping, custom design and editorial must-haves (put together by Creative Director Brooke Magnaghi), S&S is definitely a page worth bookmarking. Apologies in advance to your bank account. Nadine wearing her Alison Lou "Happy or Sad?" ring with a Nora Kogan Red Matchstick ring, both available at Stone & Strand. Alison Lou "Happy or Sad?" ring, $1,490, available at Stone & Strand. Nadine's grandmother's jade bracelet: it seems to have nine lives! Hemmerle's Delicious Jewels collection featuring Nadine's favorite Pea brooch. The Mario Botta church in Switzerland. Le Grand Bellevue in Gstaad. Parasol Up at the Wynn Las Vegas – the perfect spot for Nadine to enjoy a gin martini. An Art Deco Fred Leighton 6ct deep green diamond-shaped emerald in an 18K yellow gold and platinum base with white baguette diamonds, $80,000 available at Stone & Strand. A 1960s Bulgari Coral Serpenti bracelet with a Jaeger le Coultre watch face, price upon request, available at Stone & Strand. Arman Sarkisyan 22k yellow gold and sterling silver dove earrings with white diamonds, tasvorite and chyrsoprase drops, $6,512, available at Stone & Strand. Elena Votsi 18k yellow gold and diamond Ribbon ring, $16,400, available at Stone & Strand. 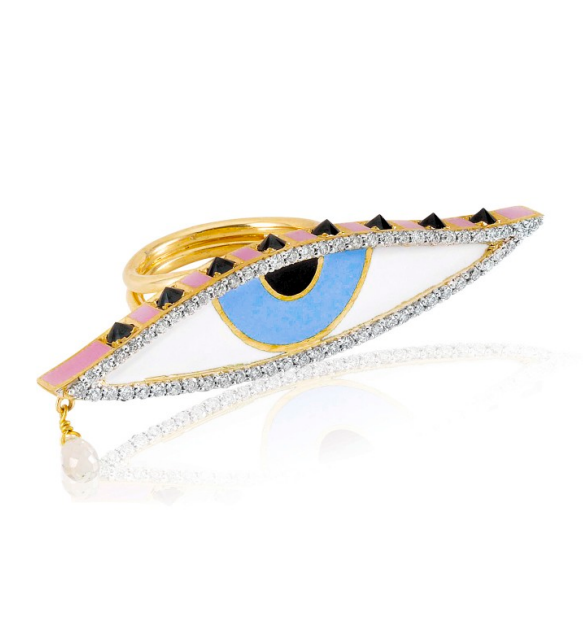 Holly Dyment Teary Eye ring in 18-karat gold, enamel and diamonds, $9,540, available at Stone & Strand. Khai Khai Rachel Bar ring in 18k rose gold, pink sapphires and diamonds, $2,200, available at Stone & Strand. I both live and work in SoHo, New York and therefore spend a lot of time within the radius of a few blocks. Fortunately there are many options to choose from and new places opening up all the time. My all-time favorite is a little Spanish place called Boqueria – they have great wine, and an amazing steak. I probably end up there at least once a week, usually on a Sunday night or weekday evening. If you could buy any piece of contemporary jewelry, what would it be? I used to live in Switzerland and very quickly fell in love with the country. It’s one of the prettiest places on earth, and I try to go back as much as possible. There’s amazing skiing, and in the summer, swims in the lakes, wild flowers and beautiful mountain walks. There’s a little mountain church called Mario Botta tucked away high up in the hills that we came across on one of our road trips across the country. It has a contemporary design set in a calm meadow alongside a tiny hamlet and the juxtaposition of old and new is stunning. Next on my list is the newly renovated Le Grand Bellevue in Gstaad. The interior looks simply gorgeous. I recently read Tuesdays with Morrie – a nonfiction book about a journalist who reconnects with his sociology professor who is dying from ALS. I found their conversations about life to be very thought provoking and inspiring. We spend longer at the Couture show in Las Vegas compared to any other tradeshow, and after a long day spent walking around indoors, a cocktail outside is a must, preferably by a pool. 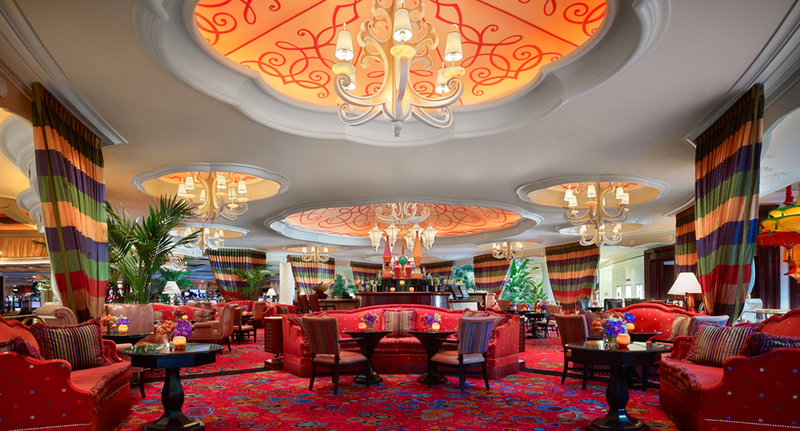 At the Wynn hotel the Parasol bar is a yearly pit stop – and I usually order a gin martini with olives. I’ve always loved turquoise and now that the Sleeping Beauty mine in Arizona has closed they feel even more precious. I adore the effect of a wild flower bouquet filled with garden roses, purple lisianthus flowers, veronica perennials, ranunculus and of course peonies. What’s your favorite piece that purchased or received in the last year and why? 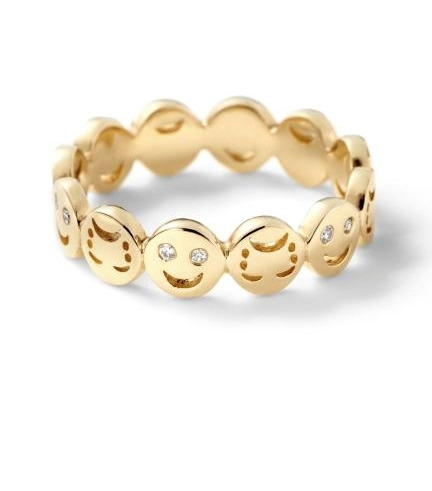 One of our customers bought the Alison Lou “happy and sad” face ring for his fiancé – as a promise that he would be with her through both good and bad times. I loved the sentiment so much that I also bought one for myself – there’s always ups and downs when you run a business, and this ring helps to remind me on a daily basis why I love being in the jewelry industry. My guilty secret is that I don’t work out. However, on the rare occasion that I do – I attempt to go for a run along the Hudson River Park. It usually turns into a nice leisurely walk. I’ve always been obsessed with jewelry, and have been fortunate to have lived in and travelled to many exotic locales. I first pierced my ears as a teenager in a remote Peruvian marketplace just after I finished the Inca Trail. I felt like I deserved a dose of glamour after five days of trekking and hiking in the mountains. It cost less than a dollar, and this included a pair of handmade earrings – an absolute bargain! Sculpture is one of my favorite mediums and I am a huge fan of the British sculptor Antony Gormley. We would hike from installation to installation, and have a classic picnic together at the end of the day. What is the most sentimental piece of jewelry you own and tell us the backstory. Jewelry is extremely personal and the pieces that I treasure most are the few pieces that I received from my grandmother. In particular, there is a simple gold and jade necklace that I am really fond of because I nearly lost it! While I was at college I decided the safest place to store my jewelry collection was in my laundry bag, and of course the necklace subsequently ended up in a long wash cycle with some bed sheets. The fact that it survived (although the case was shredded to pieces) really speaks to the long lasting value of jewelry, although I certainly don’t intend on repeating the experiment! I am a terrible driver – one of the reasons why I love living in NYC! I live within walking distance of the office, and find that not having a commute adds so much to my quality of life. Ask me again in the middle of winter and I might have a different answer! Nouvelle Vague, Lana Del Rey, Goldroom, Bibio and Velvet Underground. I tend to have celebrity girl crushes – it’s all about the fashion for me. Diane Kruger is an all time favorite, but I also love seeing red carpet photos of Emma Watson, Felicity Jones and Kendall Jenner. It would have to be a large tan tote bag – one that I can pile everything into. Perhaps something from Lanvin or Celine, with a Fendi Mini Fur Monster Keychain attached. Jo Malone Orange Blossom – light, beautiful and summery. Any of Alexander McQueen’s shows – how spectacular! Tell us your beauty secrets! I have definitely had to step up my beauty regime in New York, life in London required far less grooming! I’ve discovered Crest Strips, weekly manicure appointments, and while this isn’t strictly in the category I firmly believe that Diptyque candles are essential for my wellbeing. Signature nail polish and/or lipstick shade for a night on the town? Red lips and dark grey nails. My personal style philosophy is to mix old with the new.